Explore a country of your choice from our partner countries, and see if you can expand your business here. 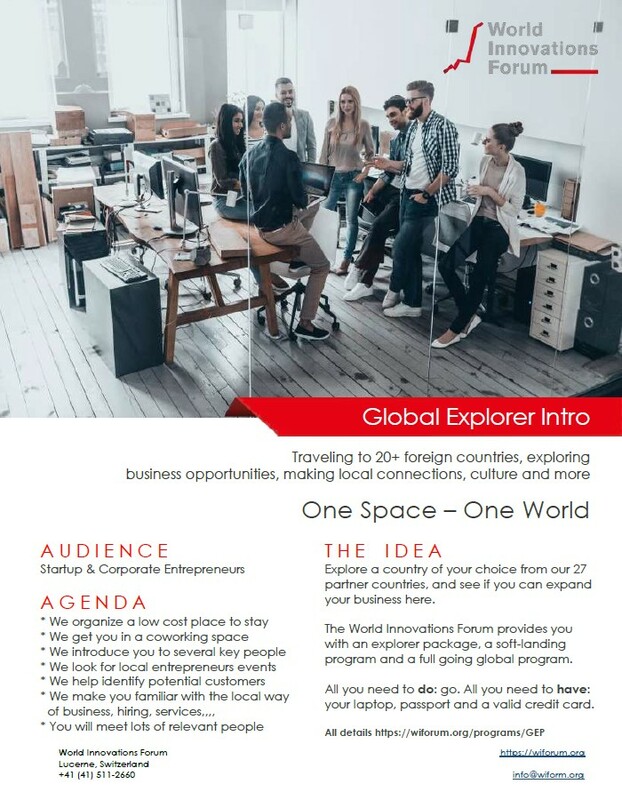 The World Innovations Forum provides you with an explorer package, a soft-landing program and a full going global program. All you need to do: go. All you need to have: your laptop, passport and a valid credit card. The following countries are currently available for the Explorer Program. We will more countries empower for the program as we grow. We organize a low cost place to stay and provide some suggestions so you can choose. We get you in a partner coworking space so that you have a place to work from the first minute you arrive til the last minute before you go back. We look for local entrepreneurs events and try to get you signed up to visit. We look for entrepreneurs meetings technology and market related events in the week you are there. We typically have good networks in many industry segments. If we can we will arrange meetings with potential customers or distribution partners who might want to sell your solutions. We consider this the most important part of your stay as you will need to see if you can ‘land business’ in the respective country. of business, hiring, available services and so forth. You will also meet other relevant people like the team at the coworking space, at the local chamber of commerce, maybe the local embassy, local industry association or if you have any specific contacts you are looking for. Before you expand into foreign countries, you may want to visit two or three and explore them. This program gives you a great way to get most out of such a visit. The program is packed with meetings and activities that are relevant to your business. 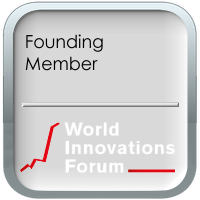 Please speak with the World Innovations Forum ambassador from your country first. We will work with you and see what the best timing would be, what to explore, what to achieve and how you prepare best. Fees cover any organizational overhead and the cost for co-working spaces. Travel and accommodation needs to be covered by the attendee unless there is some sponsorship available.